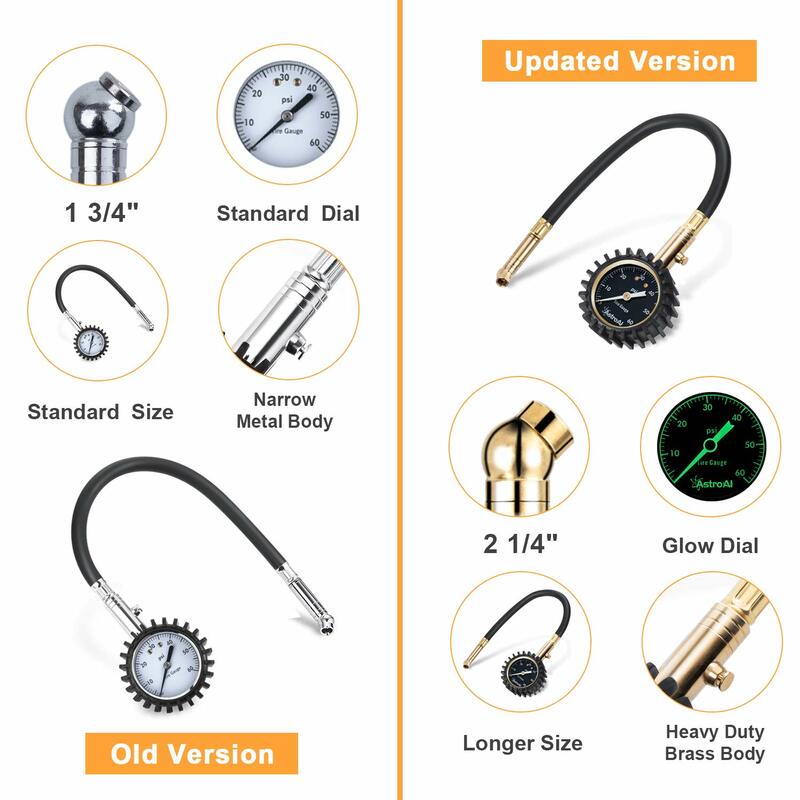 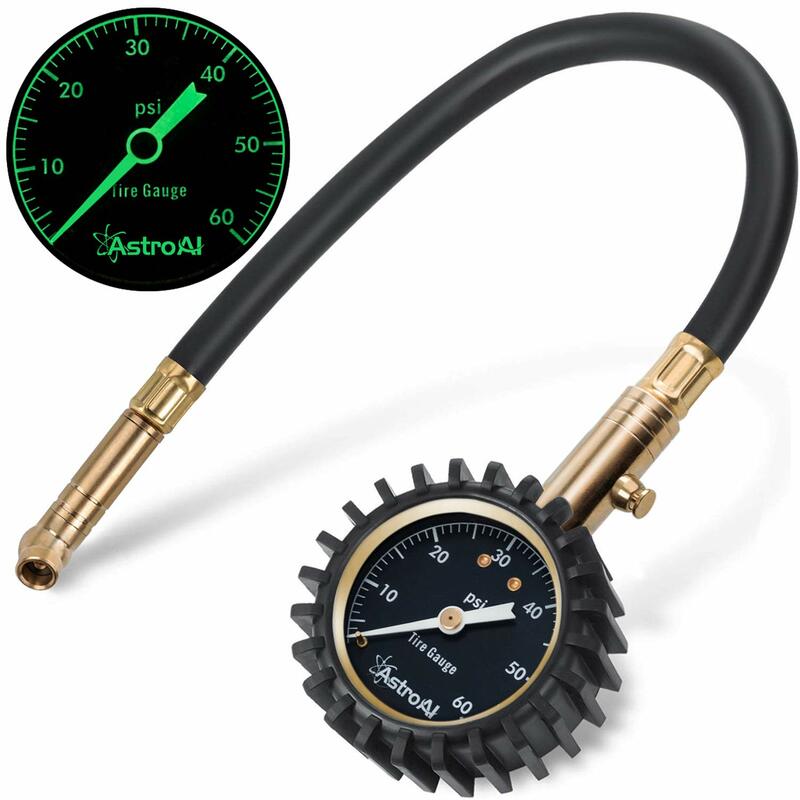 The AstroAI Tire Pressure Gauge features a steel and brass construction with an extended 5mm chuck tip, so you get a great seal with no air leakage. 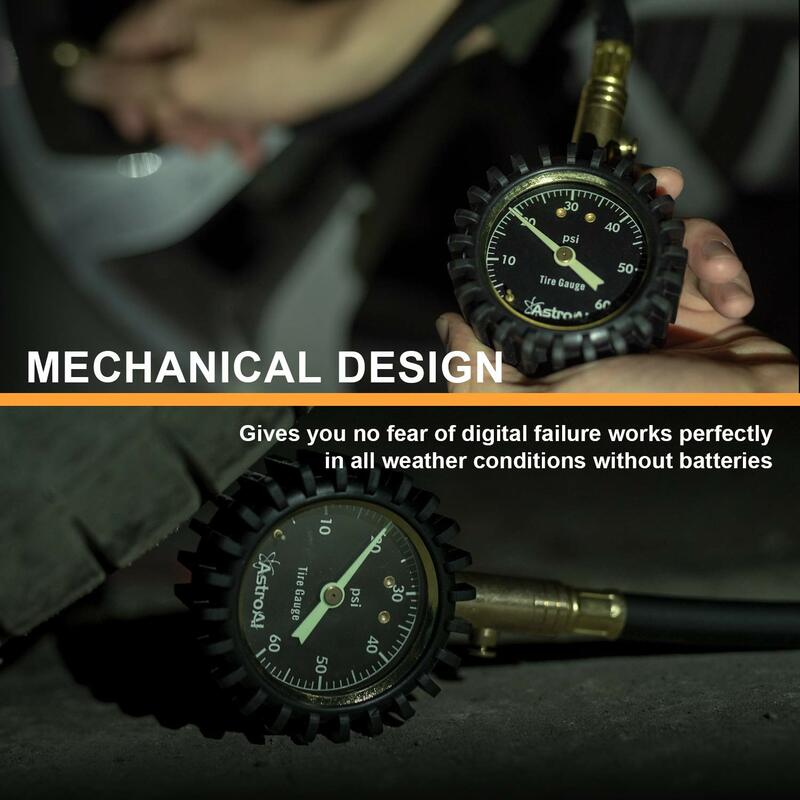 This robust and durable precision automotive tool is also surrounded by a rubber cover, so it is protected from drops and is easy to grip. 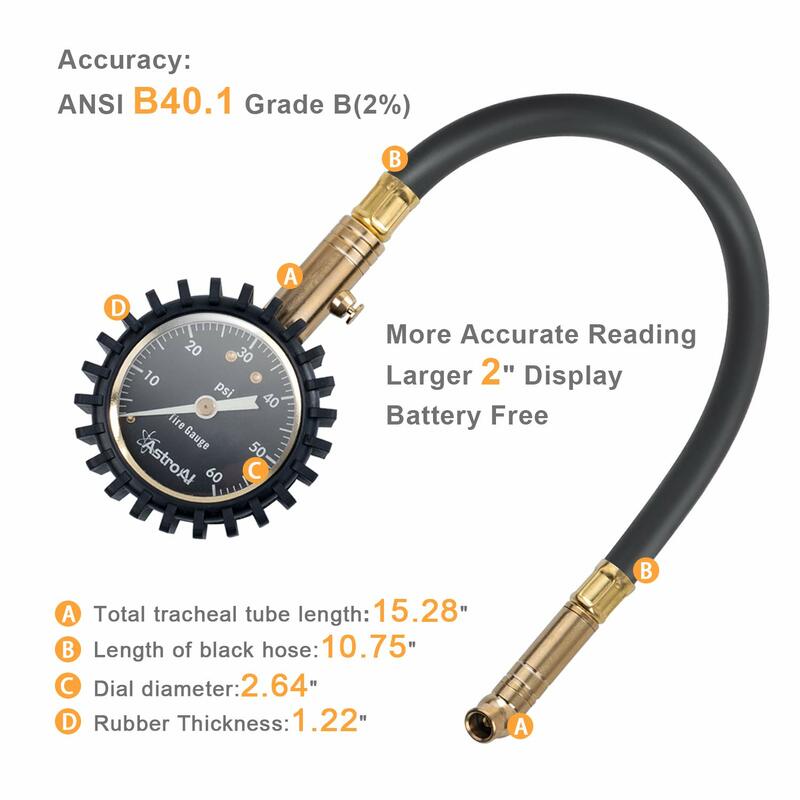 This top-rated, professional tire monitoring system is easy to use and is reliable in all weather conditions. 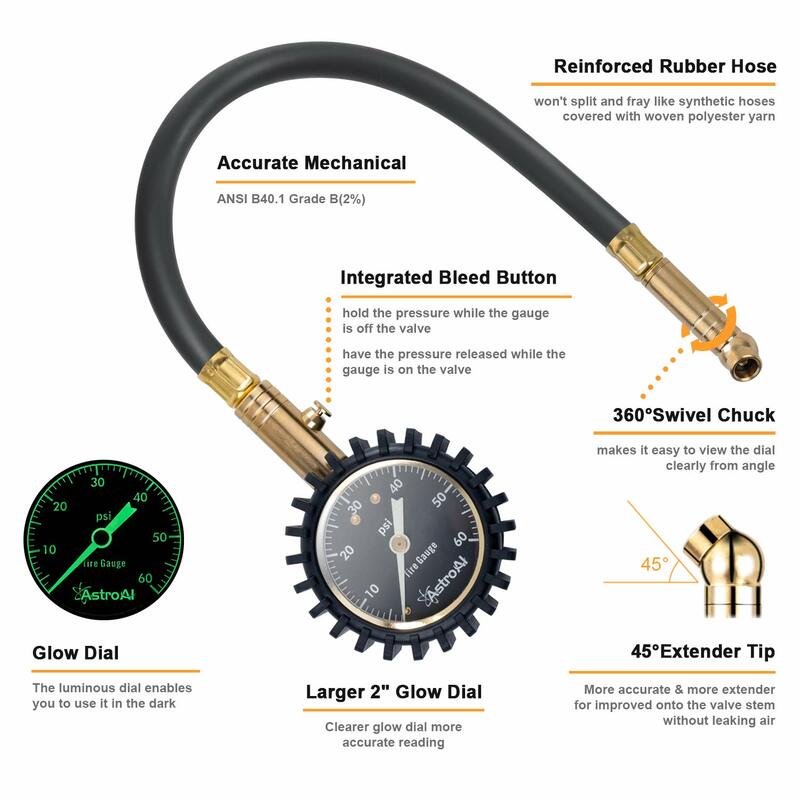 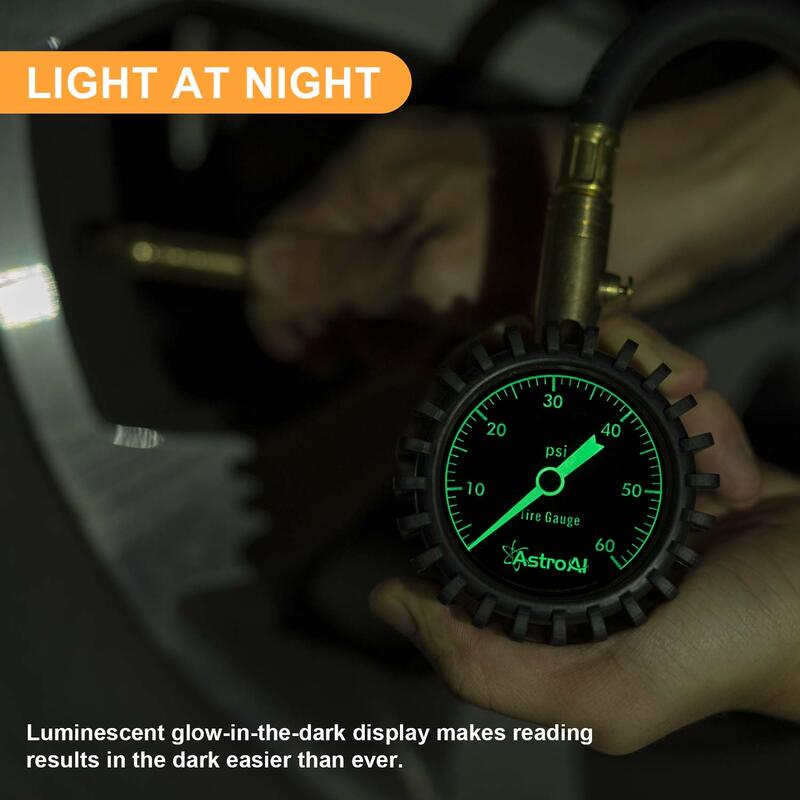 A perfect accessory for your car, motorcycle, truck, bike, SUV, RV or ATV - it will not let you down. 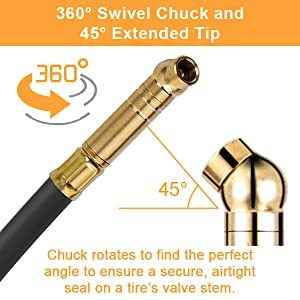 It features a 45 degree angled and full-swivel chuck. 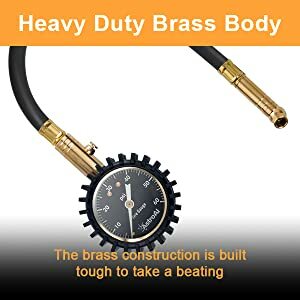 Tire pressure too high? 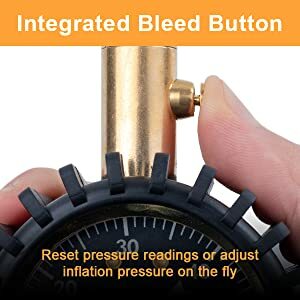 Our built-in relief valve allows you to press the bleed button whilst the gauge is still on the tire valve, releasing air until you reach the exact target required.